This Grand Rapids homeowner was actually referred through their builder, who was completing a project at their primary residence. Everyone wants their home to have great curb appeal. 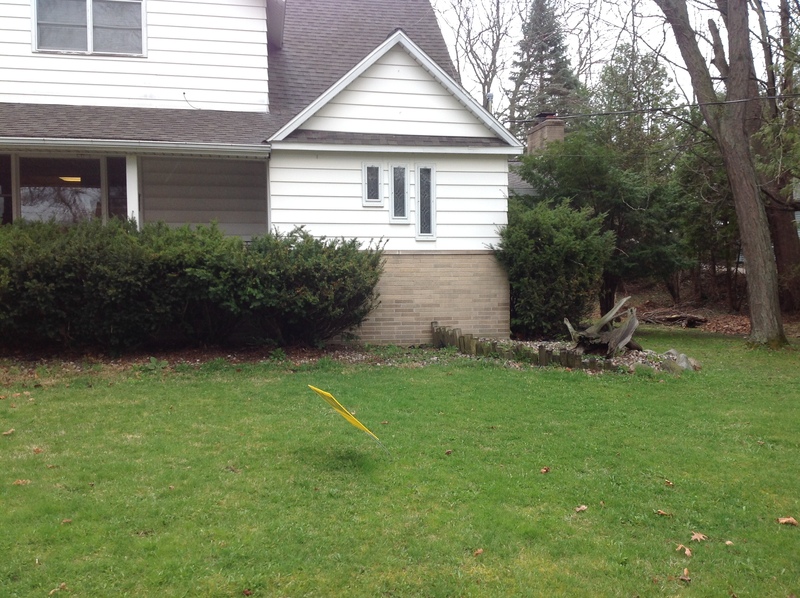 This was the case for this Grand Rapids home owner. This was a rental property and it was important for the home to look great for prospective renters or buyers. The existing landscape had overgrown shrubs, and was lacking in the curb appeal department. Like many homeowners, this Grand Rapids homeowner wanted a landscape that would be easy to maintain, that would look good in all season, be simplistic, yet also look great. We removed all the existing shrubs in the front, along the foundation. Installed metal edging around the new plant beds and installed new shrubs, perennials and trees. The plants we chose had to tolerate both sun and shade, but also be a bit drought tolerant since there was no irrigation. The perennials we chose included the following: hosta, astilbe, ostrich fern, and coral bells. There were two types of shrubs; a fragrant viburnum and a boxwood for all season interest. We also planted a lovely Japanese dogwood that will bloom beautifully in the spring. Below shows the front yard landscaping project in Grand Rapids on day of completion. The lawn was reseeded and with some time, all of the plants will fill out and mature, creating the curb appeal the homeowner was in search of. 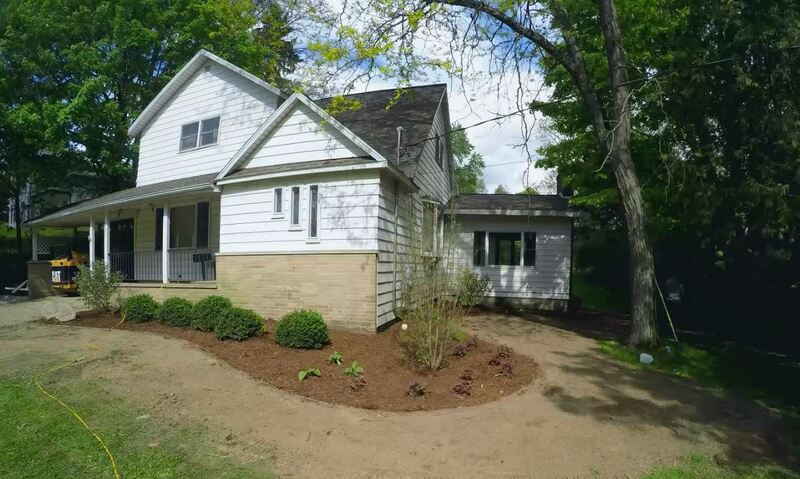 Check out this quick video that shows the progression of this Grand Rapids Front Yard Landscaping Project from start to finish. If you have questions relating to your next project, or if you’re ready to start now, contact us today. Also make sure to check out our other projects for additional inspiration!